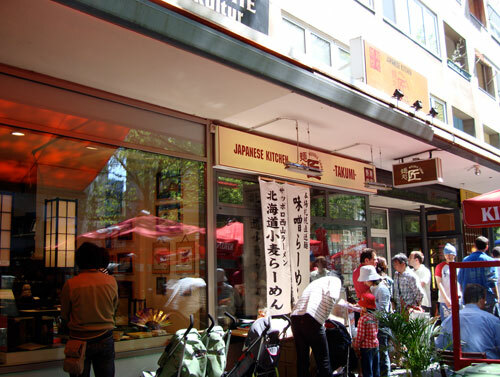 I've long been intrigued by the famed Japantown or Japan Quarter area of Düsseldorf, Germany, but haven't had a chance to go there. It's about a 5 hour drive from Zürich, and there was no work-related excuse to go there - until last week that is. So, following up on my mostly Japanese frugal eats blitz through Paris, here is my 2-day all-Japanese blitz through Düsseldorf.